Dismissal is the riskiest time of day. A few best practices can help schools more safely direct students in a multitude of directions. Published in the January/February 2019 Net Assets magazine and on the Net Assets blog. Independent K-12 schools must hold themselves to increasingly high security standards, including being able to track and document the campus comings and goings of all students, visitors and staff. Students are the largest and most vulnerable group on campus on any given day, and their frequent scheduling changes can be challenging. We have found that 10 percent of students typically change their dismissal plans over the course of an average day, such as arranging for an early pickup or going home with a friend. Most schools manage these changes manually, through phone calls and emails. This practice heightens the risk for communications mishaps and can result in students not going home with an authorized adult, not getting on the right bus or not being where they are expected to be. 41 percent do not have a method for real-time tracking and communicating about student arrivals and dismissals. 83 percent do not have surveillance technology alerting staff to vehicles entering campus. 61 percent are unsatisfied with how they manage information about “authorized” drivers and do not have a way for relevant staff to easily access driver photos and names. Perimeter security: Starting with the outermost layer of security, schools should know who is driving on and off campus. Some schools deploy guards at a central gate, while others use license plate-cameras or RFID/toll tags to screen drivers and determine where and when vehicles enter and exit. These technologies can alert security staff to unknown vehicles and help schools verify all types of drivers, whether parents, staff, faculty, visitors, vendors or high school student drivers. Your campus design and volume of visitors can help you decide how to invest in perimeter security. Driver authorization: Who is authorized to take specific students off campus? To answer that question, schools should have up-to-date and readily accessible authorized driver lists. That way, when a grandparent, new nanny or friend’s parent comes to school to pick up a student, the parent and school have already provided authorization. Best practice is to make this information available through an app for mobile devices. 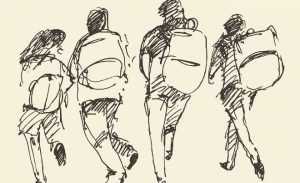 Parent-directed student arrival and dismissal changes: Students are at the very center of school safety, and their schedules change constantly. When parents direct an early pick-up or late arrival, for instance, schools must be able to collect, track and immediately communicate these changes to the right people. Best practice is for digital tools that clearly communicate these changes in real time so that all relevant parties know where each student should be at any time of the day. 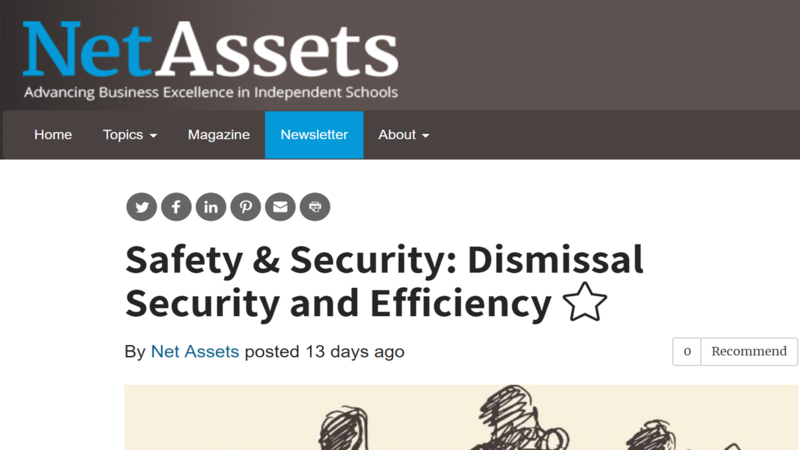 Car-line automation, bus boarding and after-school activity management:Dismissal is the riskiest time of day and requires schools to direct students in a multitude of directions. Real-time management tools can help by notifying staff in charge of dismissal of any parent-approved changes to students’ schedules. Similarly, accurate bus manifests can ensure that the right students board the right buses, enabling on-time bus departures and with real-time parent notification. With accurate after-school rosters, school staff can check students in and out of activities. Visitor management: Schools can aggregate all visitor information at a central desk or other area, or leverage visitor management technologies that track, monitor and manage all campus visitors, including facilitating background checks, printing badges and sending notifications. I have seen schools dramatically improve their control and accountability around student safety when they are able to deliver accurate, accessible real-time information about student arrival and dismissal schedules. In some cases, they begin this process with one layer of their security, and then improve it before investing further. In addition, these efforts generally strengthen parents’ confidence in the safety of their children and in the accountability of the school. Contact us to learn how SchoolPass helps schools implement streamlined dismissal operations through real-time monitoring of visitors (and their vehicles) entering and exiting their campuses across the country.